The Sigma Affiliate Team receives many questions daily. 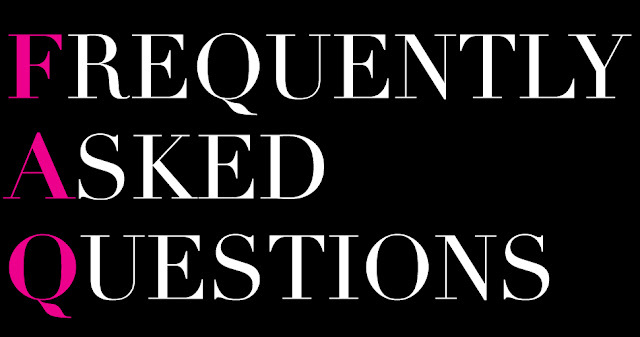 We want to share our most frequently asked questions with you. Make sure to bookmark this post and check back before submitting a question, as it may be answered below! 1. What is my Affiliate ID? Upon your login, you will see these options on your screen. Click on Visit My Affiliate Page. After clicking on Visit My Affiliate Page, you will see the Affiliate Link box at the bottom of the page. This is the information you will need to obtain your Affiliate Link AND Affiliate ID! The highlighted number above is your Affiliate ID! Your number will be different than the one shown above since each affiliate has their own unique Affiliate ID. You will need to share your entire affiliate link on your social media sites in order to earn commission. a) What is a Tax ID number? A Tax ID number, also known as your Social Security Number, is for US citizens and permanent residents ONLY and is required for tax purposes. Since you will be earning commission from Sigma, we will need to report any earnings over a certain amount. b) I’m not a US citizen, what do I put in the field? If you are not a US citizen or permanent resident of the US, you can simply enter 123 into the field and you will be able to proceed. c) Is it safe to enter? Yes! The Sigma website has been validated to receive a secure SSL certificate which proves industry standard data encryption of information transferred from your computer to the website. 3. Do I need to be a specific age to join? We have no minimum age requirement, although we do ask that you receive permission from your parent or guardian if you are under 18. 4. What do you need to know about my PayPal account and where do I send it? If you would like your affiliate payments made via PayPal, the only information we require is your email address associated with your PayPal account. If we don’t have this information from you already, you can send it to affiliate@sigmabeauty.com and they would be happy to update your account! 5. What if I don’t have a PayPal account? If you don’t have a PayPal account, you can sign up for one at http://www.paypal.com. It is a completely free service to use. If you are not interested in creating a PayPal account or are unable to establish one due to country restrictions, please let us know and we will update your account to receive gift certificates. This means you will receive your monthly commission in the form of a gift certificate to be used on the Sigma website only. At this time, these are the only two payment options available to Sigma affiliates. 6. How do I know I made money and when do I get paid? You can check your commissions at anytime by logging into your account at the Sigma website. Click on Visit My Affiliate Page, as shown above in question #1. From the dropdown menu, choose the month and year you would like to view. Your commission total will be in the bottom row under My Commission. If you have earned any sub-affiliate commission, it will also be shown here. Payments are made at the beginning of every month. A Sigma affiliate representative will contact you 3-4 days before and the day of payments if we do not have a payment option on file. If your account is setup to receive a payment through PayPal, you will receive a message directly from them regarding your account balance. There are no minimum commission requirements to receive money to your PayPal account. If your account is setup to receive a Gift Certificate, you will receive an email from Sigma with your gift certificate code. There is a $5 USD commission minimum for Gift Certificates. If your commission is less than $5 USD, the balance will accumulate until you have reached $5 USD. 7. How can I be an affiliate if I don’t own any Sigma products? We provide you with all the necessary tools on the Sigma Affiliate blog to help you create a great blog post even if you don’t own the product yourself. You are welcome to use any of the photos and information we share as well as the product descriptions and images from the official Sigma website. Our blog also provides you with information on discounts and promotions, free gifts and product launches, all of which could make for a great blog post! Keep in mind there is a big difference between a review in which you would need the product and an informational post for your readers. 8. Can I use my own link to purchase products for myself or others? You cannot order products using your own affiliate link. According to our Terms and Conditions, you may not use your own link to make purchases. We monitor accounts daily and take this matter very seriously. If we find out you have been using your own link to make purchases, your account will be terminated. 9. What is this month’s discount code? The monthly discount code can be found on the Sigma Affiliate Blog. 10. How can I increase sales? There are numerous ways you can increase sales. Make sure your affiliate link is visible on your social media sites. Your affiliate link is the only way you can earn commission. For more customized tips, make sure to sign up for the Affiliate Training Program. This program grants you the opportunity to work one on one with a Sigma representative who will review your social media sites and give you personalized tips for success! Amazing post. All doubts answered for everyone that was needed them. Thanks Karlla! We're glad you found it helpful!